NAB 2017: DJI and Hasselblad announce world's first 100-megapixel Integrated Aerial Photography platform. DJI and Hasselblad on Tuesday marked the start of the next era of aerial photography by introducing the first 100-megapixel integrated drone imaging platform. 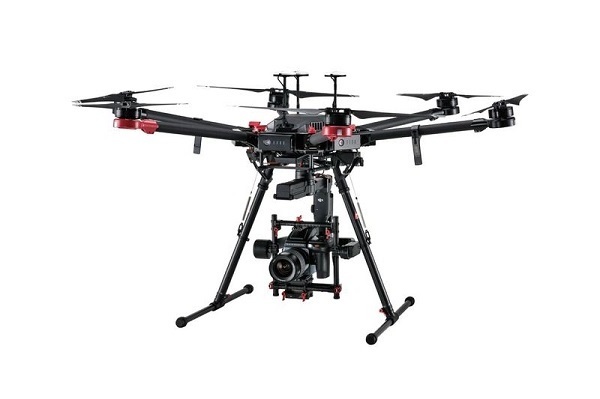 DJI M600 Pro Drone, Ronin-MX Gimbal and Hasselblad H6D-100c camera combine for unparalleled Aerial Imaging Package. The combination will be released in the third quarter of 2017 at a price to be announced later.